The advent of chat and messaging applications for Android has opened up a world of possibilities within a single application. The revolution of instant messaging applications, not just rely on the chat, today we can find an entire social network in a simple Android application. 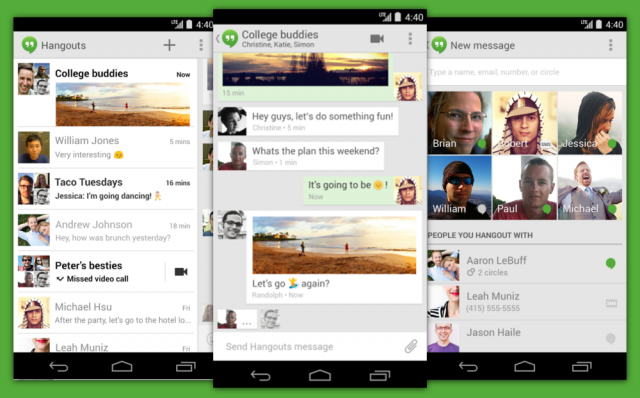 Google has renewed the application Google Talk, instant messaging, voice call, and video call. It has also integrated the SMS from Android phones and it is completely platform and if you have multiple devices as when read in each other is marked as read. So far, it is as comfortable for talks. It also has a system of group discussions, know if the message has been read or not by the position of the avatars. Our second app is omnipresent WhatsApp, as it uses by almost everyone for many interesting things like push-to-talk messages in a convenient way, edit your video before sending. So far, we are having a communication tool, which is almost universal multimedia shipping. Thanks to its large user base of over 500 million, the platform WhatsApp able to be bought by Facebook. According to a study, WhatsApp has made the SMS on mobile phones, which made Skype international calls in the fixed network. It is compatible with all the basics, with the notable absence of video chat, but you can use message groups send multimedia files, and retrieve messages offline. 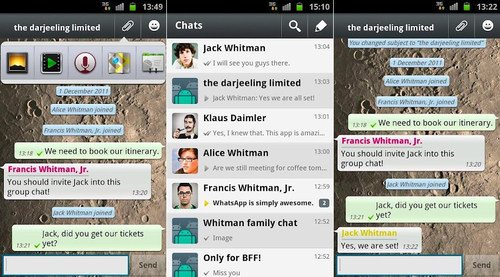 WhatsApp is free for the first year and costs a dollar next year. 200 million Viber users have made a strong niche for itself by being a messaging application low cost for different platforms that do not require cumbersome connections and configuration after installation, simply create a user account using a number of phone as the user name. 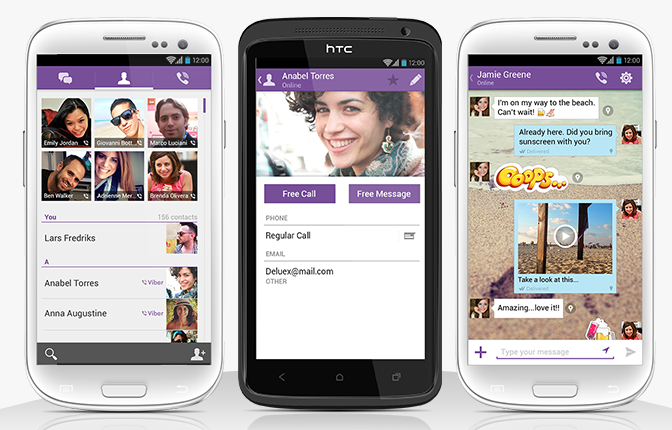 Viber includes text, images and video on all platforms, with voice calls available only for iPhone, Android and Windows Phone from Microsoft. The chat application syncs with the address book on the phone, so that users need not add contacts in a separate list.